How does stress affect our social behaviour and its neural bases? Stress is considered to be one of the body’s mechanisms to defend itself against potential risks and threats. While research has conventionally focussed on analysing the cognitive effects of this pathology, significantly relevant studies have appeared in recent years on the way that stress can alter human behaviour and the brain region linked to social interactions. This will be the starting point for the lecture given by Professor Dr. Carmen Sandi on 22 November at the Bizkaia Aretoa building in Bilbao. The lecture will start at 18:30 and is part of the Achucarro Forum, focussed on the brain and scientific research on pathologies that affect it. Doctor Carmen Sandi has a distinguished career in studying stress and its effects. Her research has taken her all over the world to give lectures and she has written over 160 research articles and papers. 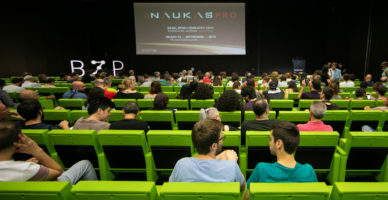 She combines lecturing with her work as a researcher at the prestigious Ecole Polytechnique Fédérale de Lausanne (Switzerland) and her recent appointment as president of the Federation of European Neuroscience Societies (FENS). Under the title “¿Cómo afecta el estrés a nuestra conducta social y sus bases cerebrales? (How does stress affect our social behaviour and its neural bases? 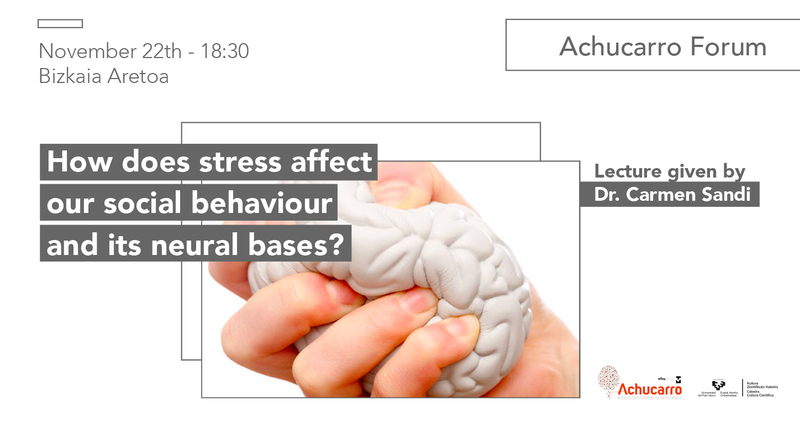 ), the expert will present what effects acute and chronic stress produce, as well as how traumatic experiences at an early age impact social and aggressive behaviour. The Doctor will also analyse different studies that are being carried out on animals in the laboratory to study neural changes that cause stress and are the bases underlying sociability and aggression. 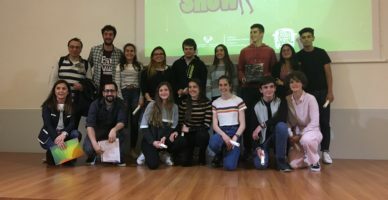 The Achucarro Forum series of talks is organised by the ACHUCARRO Basque Center for Neuroscience, in collaboration with the Chair of Scientific Culture of the UPV/EHU, the Basque Government and the University of the Basque Country (UPV/EHU). The talks intend to inform the general public about emerging issues and interesting facts related to the brain in an understandable and accessible language. The conference is free and for all audiences, however it is necessary to register in advance by sending an email to forum@achucarro.org or calling 94 601 81 35.